New Delhi: The Supreme Court on Wednesday asked the Madras High Court to decide petitions pertaining to issuance of two Look Out Circulars (LOC) against Karti Chidambaram, son of former Union minister P Chidambaram, and others in a corruption case. 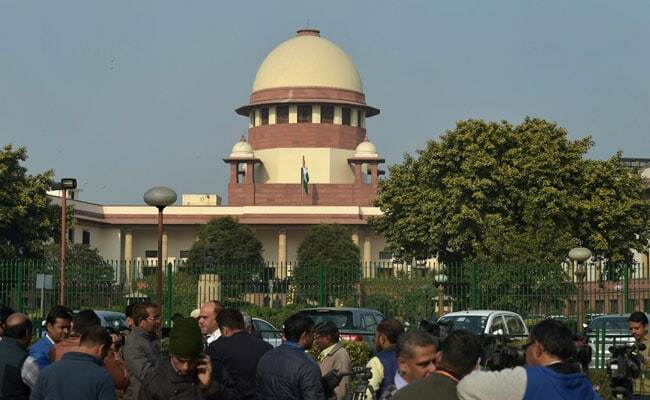 The bench, which also comprised Justices AM Khanwilkar and DY Chandrachud, ordered that the division bench headed by the High Court Chief Justice will decide the petitions within two months from today. Earlier, a single judge bench of the Madras High Court had stayed the LOC issued against Karti and others in a graft case relating to grant of Foreign Investment Promotion Board (FIPB) clearance to INX Media for receiving overseas funds to the tune of Rs 305 crore in 2007 when Mr Karti's father was the Union Finance Minister. Later, the top court considered the appeal of CBI and stayed the operation of the High Court order staying the LOC. To Karti Chidambaram Request, Top Court Says "People Come And Go Abroad"